Rebecca Von Lipinski was born in Mansfield, and studied at the Royal Northern College of Music in Manchester. 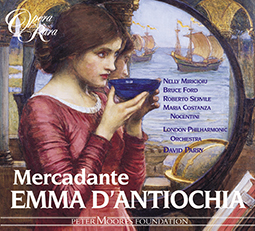 She has been the recipient of many prizes and awards including the Clonter Opera Prize and Audience Prize, and the Elizabeth Harwood Memorial Award. 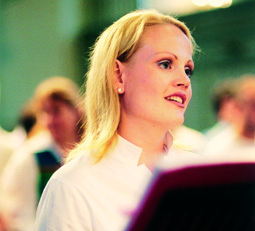 During her time at the RNCM, the Peter Moores Foundation supported her vocal studies. 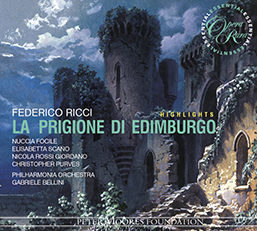 Rebecca was a member of the National Opera Studio in London during the 2002/03 season. Her extensive concert and oratorio repertoire includes performances of Vivaldi’s Gloria, Messiah, Mozart’s Mass in C and Coronation Mass, Rossini’s Petite messe Solenelle, and Mahler’s Symphony No 2 Rebecca has also appeared on numerous recordings, radio broadcasts, and made several television appearances.